One day, a few years ago, two incongruous figures stood in the lobby of the design centre at Mazda HQ in Hiroshima. Dressed in grey work uniform, the two men were staring at an object on display. For a long time, they examined it up close, then from afar, sometimes squinting and folding their arms, until at last they left the building with faces deep in thought. 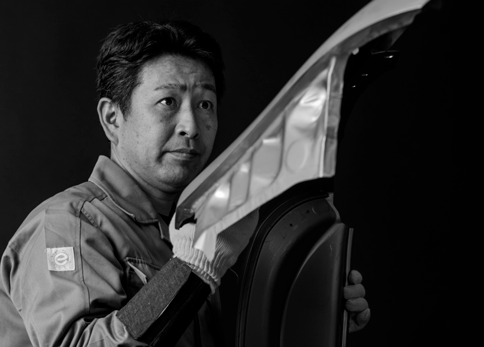 The object in question was a sculpture just big enough to be held in two hands, and had been lovingly made by the Mazda design team as a motif of the KODO design concept. 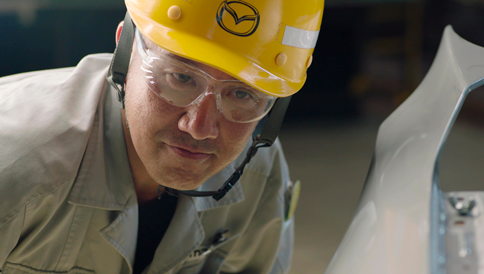 And the two men who had studied it so hard were Mazda’s body panel developers: Nobuaki Goto who handles the data behind die manufacturing, and Hiroaki Otsuka who leads the manufacturing process. 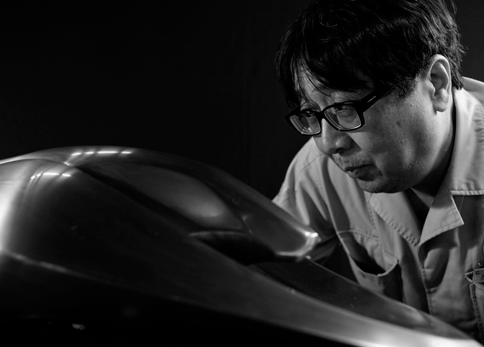 Their job is to bring the designers’ concepts faithfully to life as actual cars, and what they were venturing to do on this occasion was to recreate the KODO sculpture using the very material that goes into making dies. 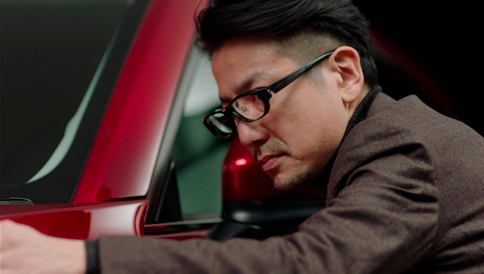 It had all started when Goto and Otsuka visited the design studio. There, they had been blown away by the designers’ insistence that their design would be completely destroyed if it were distorted even by 4/100mm or 40 micrometres, half the thickness of a single hair strand. 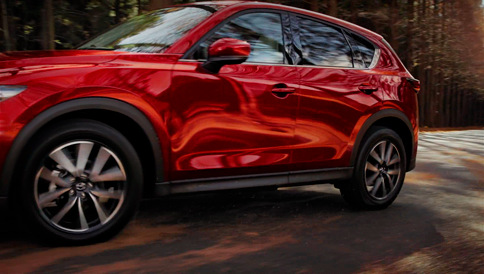 The very essence of KODO design is the flow of strong rises and deep falls. 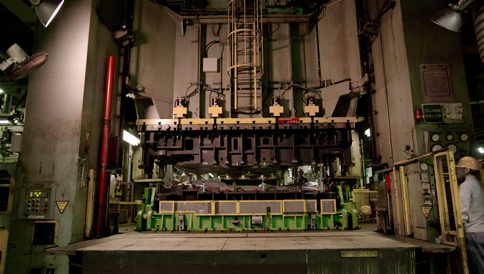 To recreate this in a car that is over four metres in length, making a die that stays within a margin of error of 40 micrometres, was a difficult feat even for seasoned craftsmen like Goto and Otsuka. 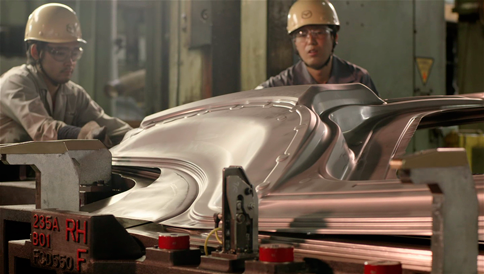 They decided they needed to do exhaustive research into how they could make a die that would bring KODO design faithfully to life – and for that, they needed to recreate the KODO sculpture in steel. 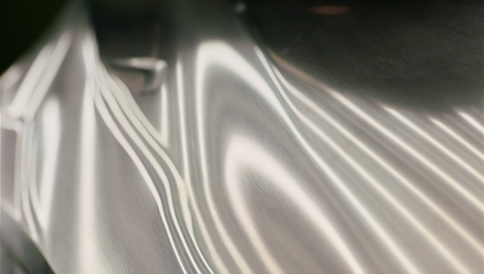 First, Goto and Otsuka identified 50 problems that stood in the way of recreating the beautiful movement of light on the curves and the expressive surfaces that the design team envisioned. 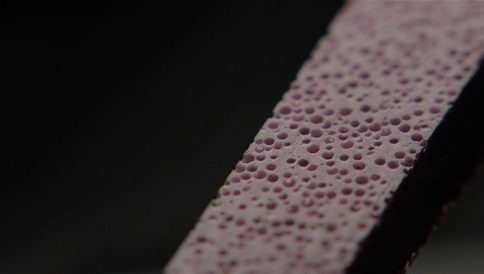 Then, to solve these problems, they invented three new sets of skills and technologies: ‘KODO kezuri (shaving)’ that enabled a machine to imitate the hand movements of the clay modeller; ‘KODO toishi (sharpening stone)’ that could fine-tune a surface within five micrometres in accuracy; and ‘KODO migaki (polish)’ that made the finished surface sparkle without distorting the curves. 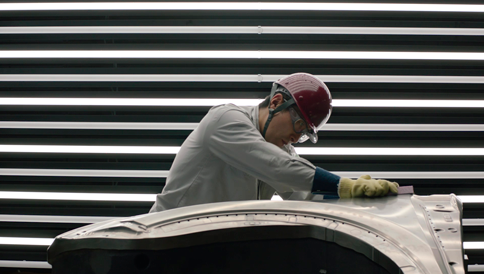 In bringing the designers’ concept to life in the form of a steel sculpture, the manufacturing team made many new discoveries. 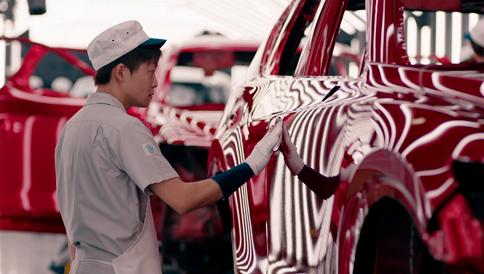 With the design studio and factory coming together across the expertise divide, they were able to up each other’s game and deliver their dream car to fans. 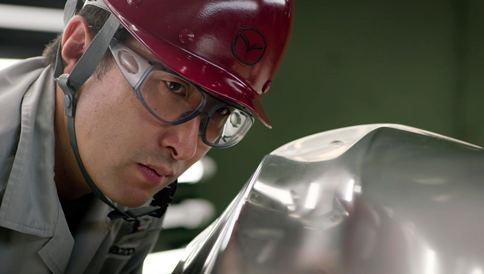 This act of ‘co-creation’ by Takumi, or master craftsmen, will continue to drive Mazda forward for years to come.